Tehri derives its name from "Trihari", a place that cleanses three types of sins namely sins born out of Mansa, Vacha and Kamana or thought, word and deed respectively. The ruins of Old Tehri lies under water today. New Tehri is a modern town spread over an altitude from 1550-1950mts above sea level overlooking the gigantic lake and the Tehri dam. 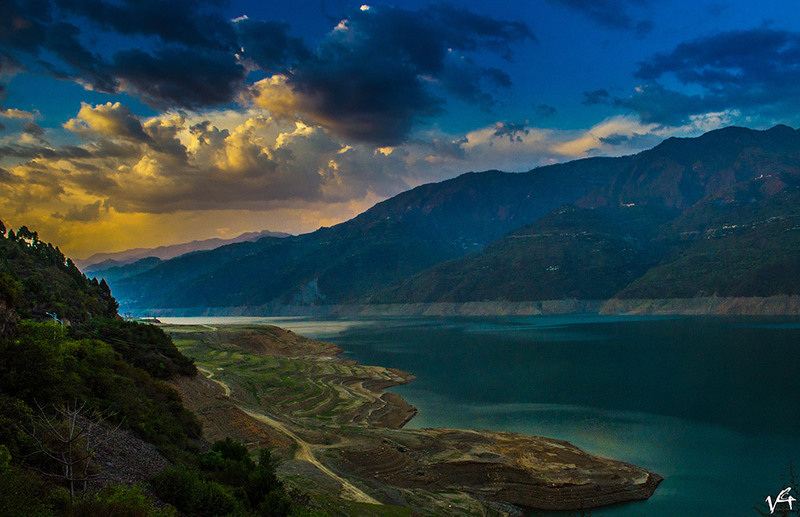 Tehri Garhwal was ruled by the Parmar (Shah) Dynasty. 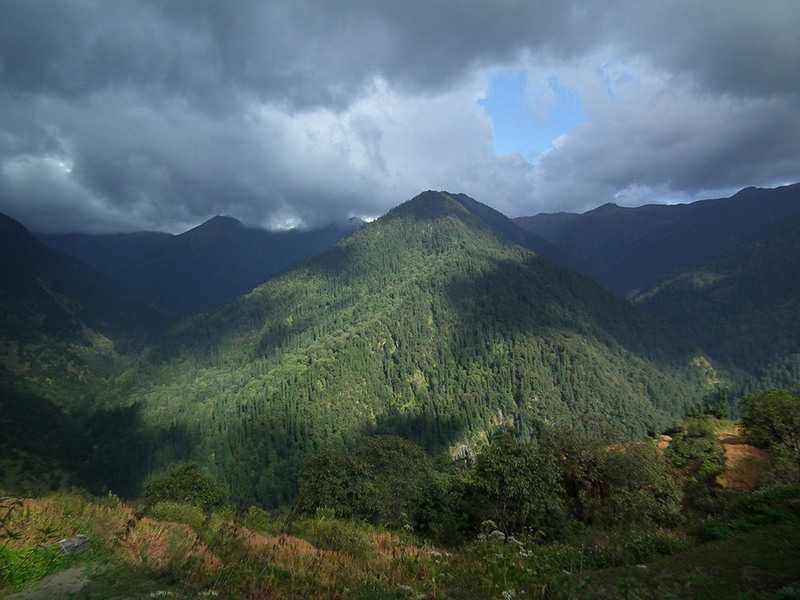 In 1803, the Gurkhas invaded Garhwal which was soon followed by the British Rule. The East India Company then merged Kumaon, Dehradun, and east Garhwal into the British Empire, whilst transferring the authority of west Garhwal to Sudarshan Shah that came to be known as Tehri Riyasat. King Sudarshan Shah made Tehri as his capital and their dynasty ruled the region from 1815 to 1949. In 1947 when India got its Independence, the people of Tehri Riyasat (Tehri State) started opposing the monarchical rule. Consequently, Manvendra Shah, the 60th king of Pawar Vansh accepted the jurisdiction of the Indian government. In August 1949, Tehri Riyasat was merged with Uttar Pradesh and a new district called Rudraprayag was declared. Later on February 24, 1960, the state government separated one of its tehsils and introduced a new district called Uttarkashi. New Tehri is the only planned city of Uttarakhand which is developing as a popular tourist spot because of its pleasant temperature and salubrious weather. New Tehri receives snowfall during winters. 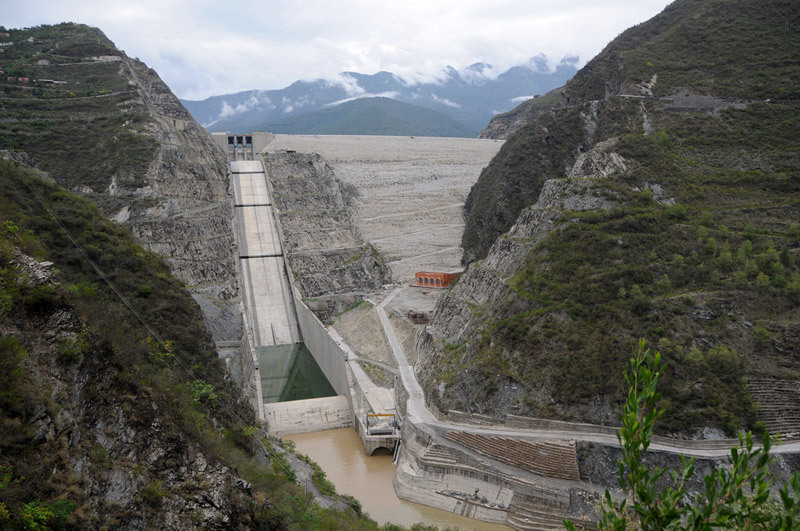 Several sightseeing options have been built by the government at New Tehri. What is New Tehri famous for? 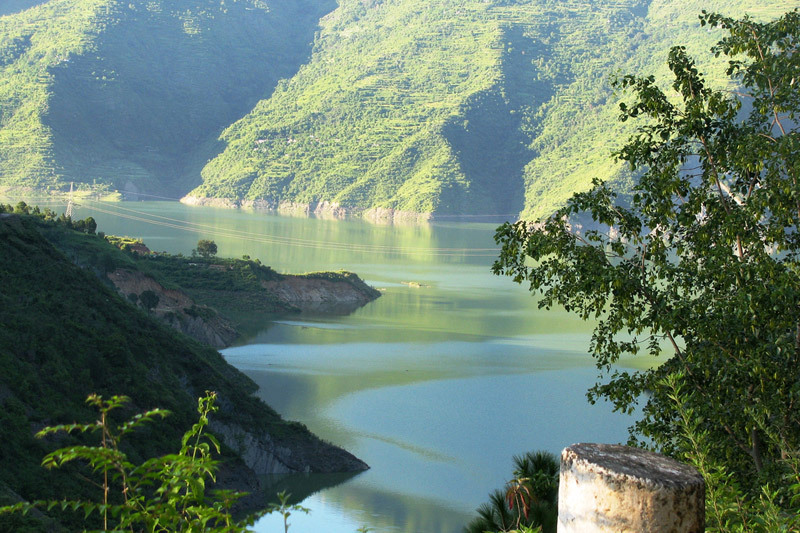 New Tehri is famous among tourist as Lake and Water Sports. New Tehri is recommended destination for Corporates, Couples, Family and Kids, Foreigners, Groups, Solo. New Tehri is popular destination for following activities/ interests - Adventure, Boating, Emerging Destinations, Hill Station, Kayaking, Leisure, Paragliding, Weekend Getaway, Yoga and Meditation. Travelling to New Tehri in 2019? Contact us for planning your New Tehri tour with best travel packages of as per your requirements!